CRAIG WOLF PHOTOGRAPHY: What! Using Flash For Nature Photography! What! Using Flash For Nature Photography! I'm slowly coming to grips with using a flash for Nature Shots. I generally prefer natural light, but there are situations that call for additional light. Here's one example on a foggy morning along the coast in the Redwoods. There wasn't much light and the wind wouldn't stop blowing. 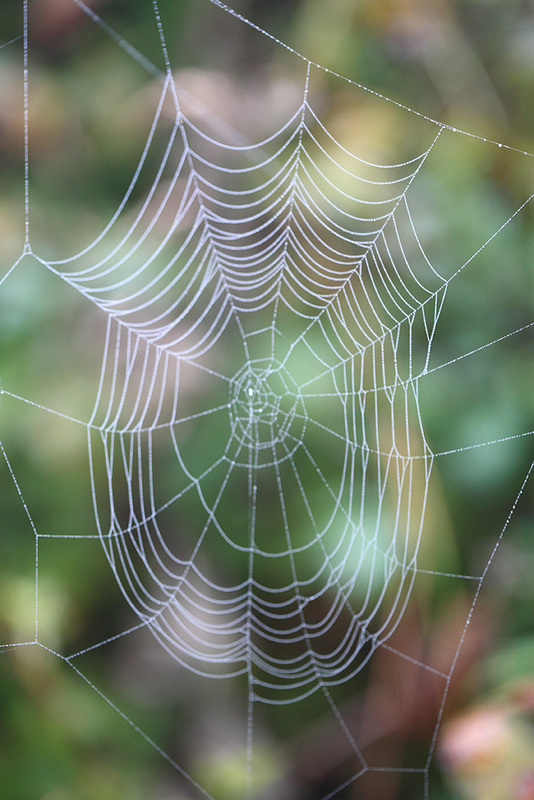 Now, I just wanted a small piece of this web to really show off the dewdrops, but I couldn't resist trying to get the entire web at 2.8. (ISO 400.) The background is too bright in comparison to the web and too close to the web for the background to blur out. 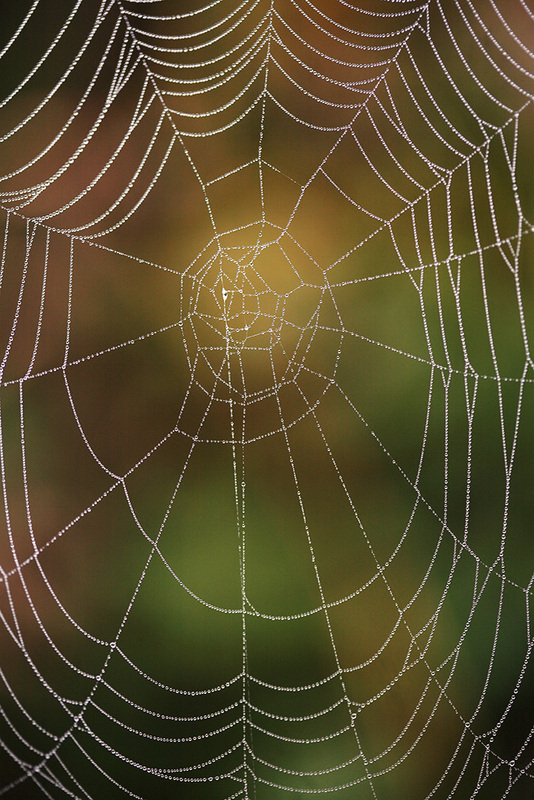 Even at ISO 400 and f2.8 it's still too windy to keep the web tack sharp. Pumping it up to ISO 800 helps the freeze the motion and moving in a little closer helps separate the background. (The more you magnify the less depth of field you'll have.) It's still not tack sharp. Now my flash comes to the rescue! With a Canon Speedlite Transmitter ST-E2 you can get the flash off the camera. Once it's off you can try it in different positions until you get the correct balance between the foreground and the background. At 2.8, only part of the web is in focus. Since I wanted all of the dewdrops on the web to be sharp I set the camera to f16. Not a problem since I'm using a flash and it will freeze the motion. You just have to set your camera up so it's not letting in the ambient light. Nice shot, I like it, but I'll try ISO 100. Nope, the background went black. (Just like I thought not enough power.) I'll stick with ISO 800 at f16. So I was able to freeze the web and still pick up a little of the background at ISO 800 with one flash. With 2 flashes I would have been able to light them both up properly at ISO 100. Of course I left the 2nd flash at home. (What good was it doing there? Guarding the house?) I did run into some poison oak and picked up some rubbing alcohol to clean off my tripod. (And me!) 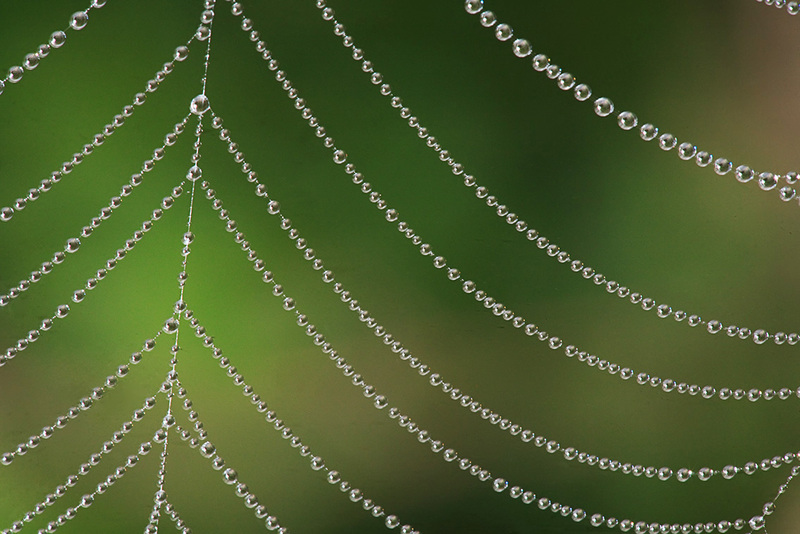 Anyway, I like the shot, the dewdrops look like a pearls on a necklace. For more on flash photography go to strobist.com - a "Must See Website"